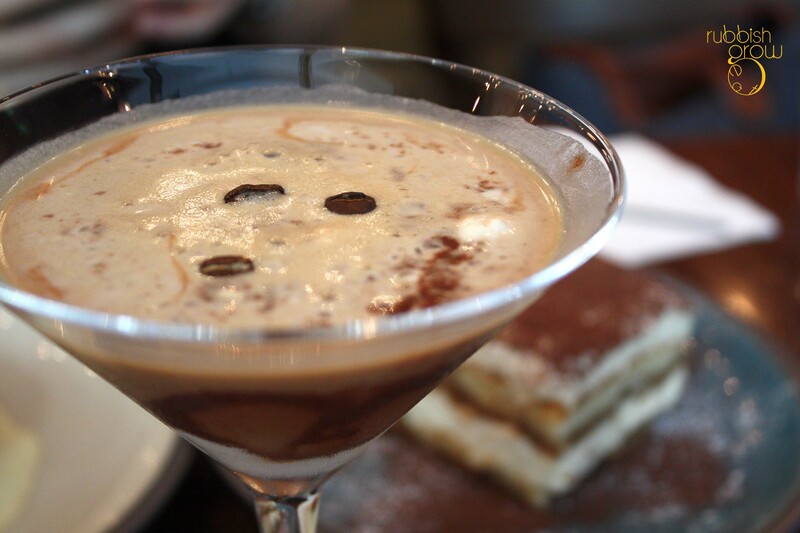 From 14 May to 15 July, Oriole Cafe is having a 3C promotion, that is, the drinks and desserts have chocolate, coffee and caramel. Not a coffee drinker and a teetotaler? 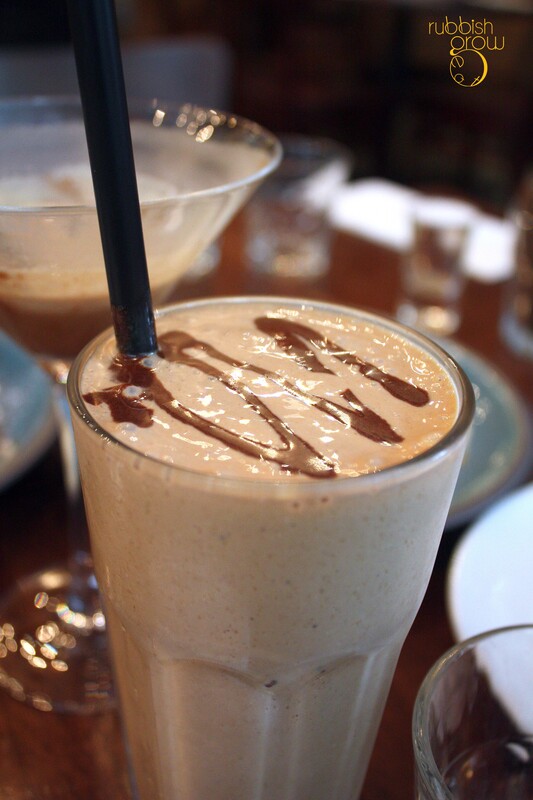 Mocha Storm ($9) (cold brew, vanilla ice cream, chocolate, caramel and milk) is like a coffee milkshake, except there isn’t the bitterness of coffee. I am not much of a coffee drinker myself because I dislike the bitterness. Life is bitter as it is. And Oriole’s coffee concoctions aren’t bitter at all; they are rich and full-bodied which is how coffee is supposed to taste. 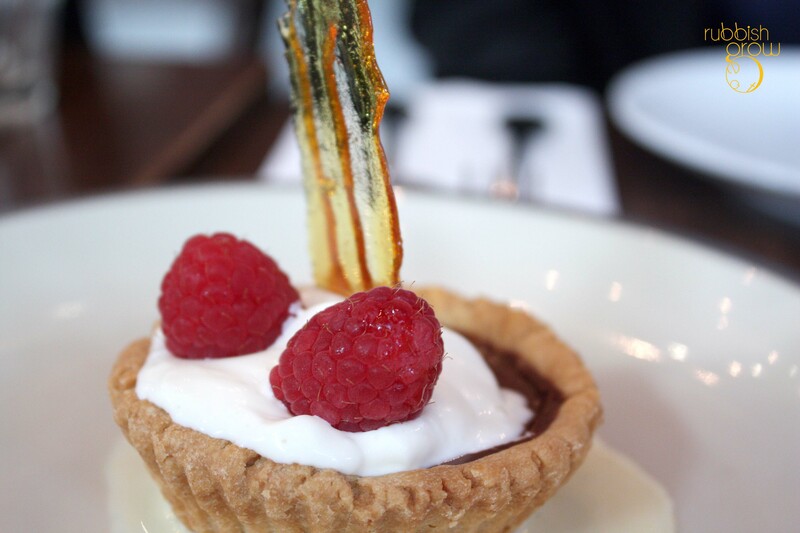 Carmella’s Kiss ($8.50) – chocolate-coffee tart with fresh cream and toffee chard. Bitterest chocolate. 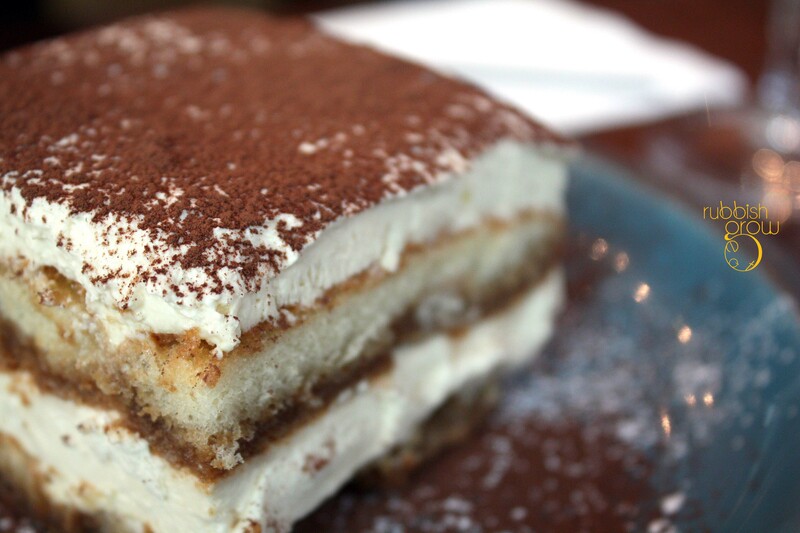 The tiramisu is quite different from elsewhere. As you can see from the photo, the ladyfinger is only laced–not soaked–with coffee liquer at the sides. As a result, the sponge cake’s sugary taste is distinct. The best 3C dessert is Bernini at Sea (not pictured, $10.50), a rectangular brownie topped by a rectangular block of macadamia sea salt ice cream and a shot of Baileys Irish cream by the side. The brownie, glazed with sugar, has an interesting and crunchy texture. Overall, the desserts, though not as impressive as the drinks, are decent. We’re starting a “Start with Desserts First” campaign and we ended with the affordable global fare. 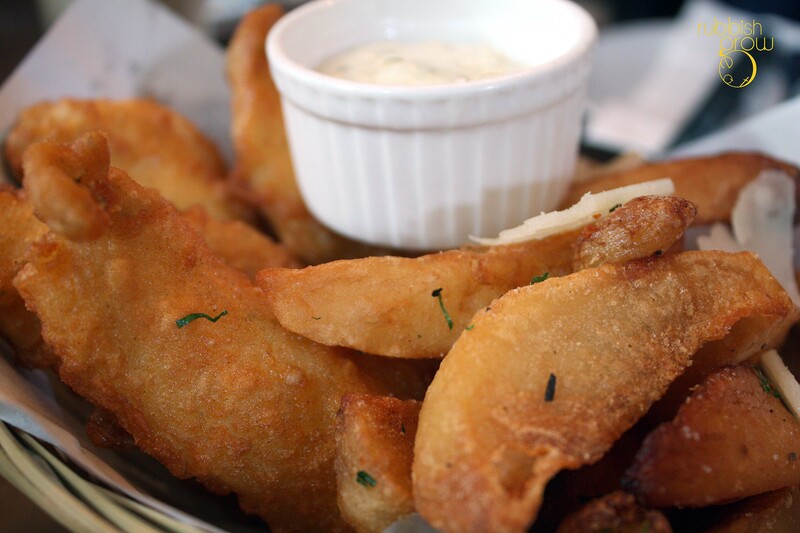 We heard of the famous Fish & Chips ($17) from our friends. It comes with hand-cut fries tossed with garlic aioli (garlic sauce), rosemary and parmesan cheese; the fries can be ordered on its own too. Though just a smidgen oily, the batter is thin and tasty–with a spice that tastes similar to but not as strong as masala–and the snapper is fluffy and fresh. 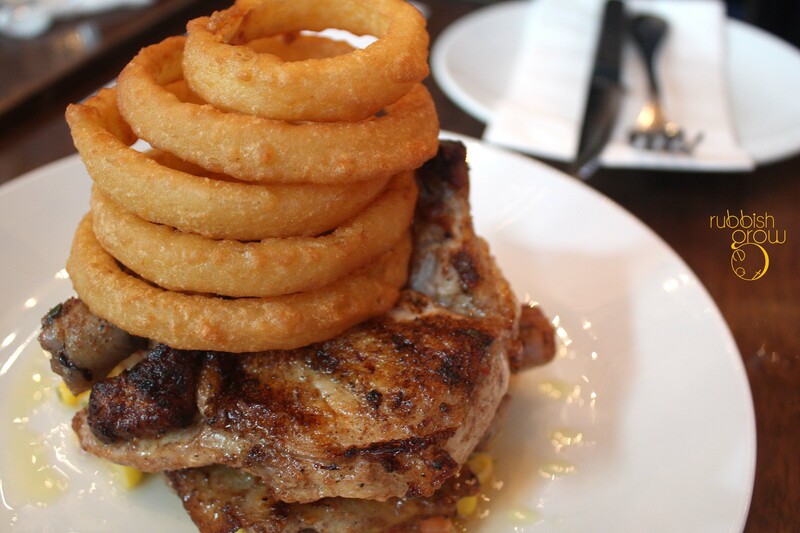 While Pierre preferred the Fish & Chips, I quite liked the Jamaican jerk chicken ($19). The onion rings are nonsense, hard crust and bland, but the baby chicken–you get the entire chicken for just $19!–is delightful. Tender and moist, with just a bit of char for taste. 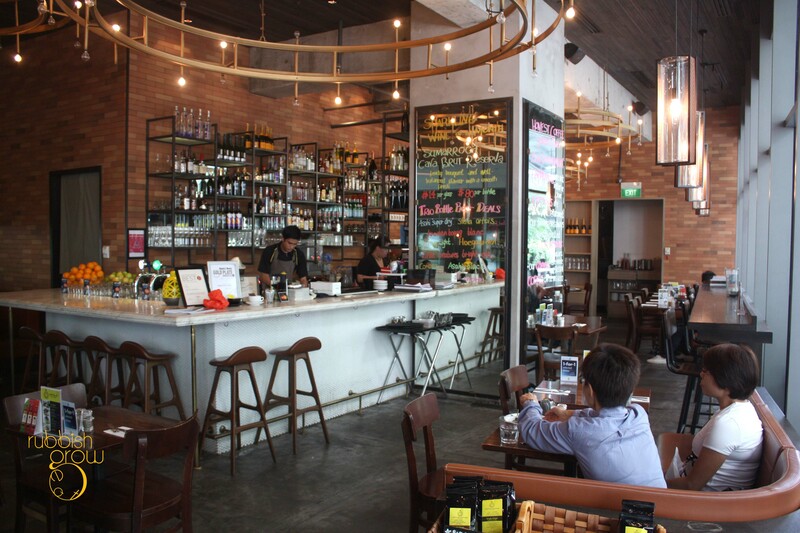 (The original Jamaican jerk chicken is completely charred but the chef tones it down to suit Singaporeans’ palates.) It is marinated with a combination of spices called jerk-rub. What an unfortunate name but it tastes similar to wu-xiang (five-spiced powder) that Chinese use. The familiarity of the spice is comforting to me and perhaps that’s why I like it. From Oct 2011 to Mar 2012, Oriole has raised $18, 000 during its recent M.I.L.K (Mainly I Love Kids) charity campaign. 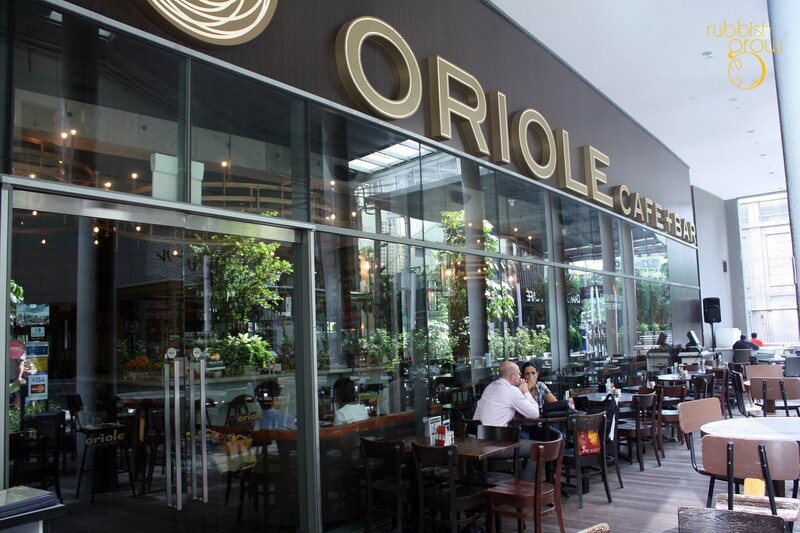 Oriole will continue its support for disadvantaged children and youths in Singapore by donating 10% of their earnings from coffee beverages from 1 June to 31 Dec 2012. Overall, we can understand its popularity. Its main draw is the coffee, which is really quite something. I don’t drink coffee but I want to return to drink seven sins akin and mocha storm. The food is definitely value-for-money and is respectable. PS: Thanks to Carlyn, Melissa and Oriole for the invited tasting. Desserts?!!! Yum yum yum! Shall bring me desserts makis there! The desserts are not bad but the coffee is woah. I don’t like coffee in general but the coffee here is awesome, not bitter at all. The PR told me that good coffee is not supposed to be bitter. i’m ok with the coffee but the service is so slow! So far i haven’t been impressed. Not my first choice coffee place in town. Oh we were with the PRs so we couldn’t comment about the service. 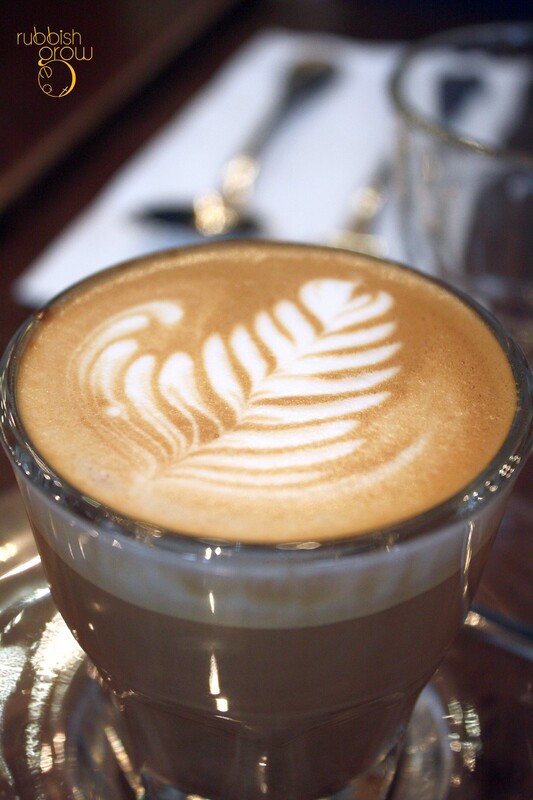 Which coffee joint do you usually go to?